At last! 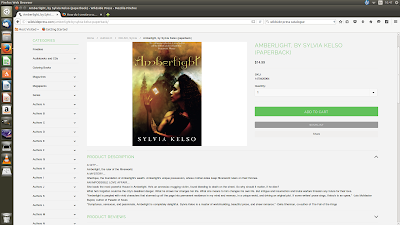 The new edition of Amberlight is live on Wildside's online catalogue. At this point it's only the print version, though I thought originally the ebook would come up first. However, for those who like paper, here it is. For those who prefer ebooks, stick around. I have to query Wildside about where the ebook is, but they have been having such a go round with printers and post offices that I'm giving my contact person a day or two to recover. At sometime in the not so distant future I hope to have give-away copies for draws or maybe some kind of quiz thing - but will need time to get to that which is currently earmarked for writing. To which, this morning, I have not yet got, and it's already 11am. 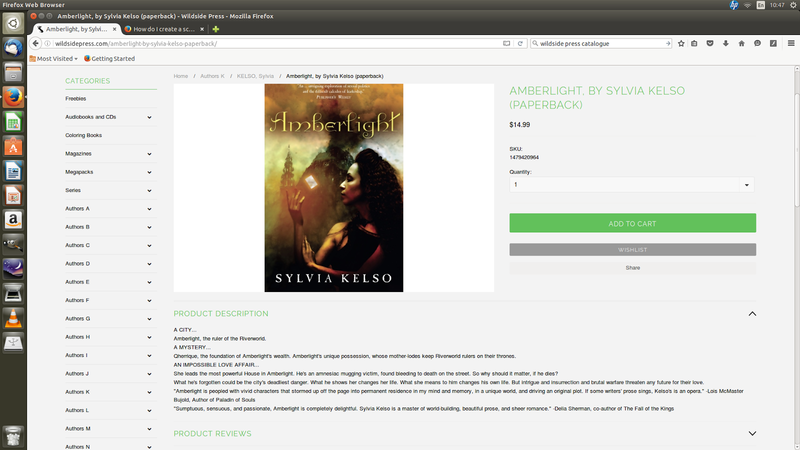 Hi, is there any word on the Amberlight ebook? I'm dying to get my hands on it but can only find an e-version of Riversend.